I’ve promised a post with some pictures and ideas of things I made for the party a couple of weeks ago for my new baby niece, and I think it’s finally time to deliver. First, some background for my non-Jewish readers. The party is a traditional Jewish celebration in honor of the birth of a baby girl. In most cases, including this one, the party took place on Sabbath afternoon, just after prayer services. This party was attended by mostly neighbors, as observant Jews don’t drive on Sabbath. My brother lives in a very young neighborhood, with what often feels like two million kids. When planning the goodies I made, I tried to balance pretty (for the women) and kid-friendly. Here’s what I came up with. As you will soon see, the theme colors were pink and silver. Pretty for a little princess, right? The chocolate was not made because it matched the color scheme, but because it tastes a lot better than candy melts. Think about that when choosing what to cover your cake pops in. To drizzle the pink on the chocolate I put melted pink candy melts in a squeeze bottle. When I wasn’t using it, I stuck the bottle in warm water to keep it from hardening. 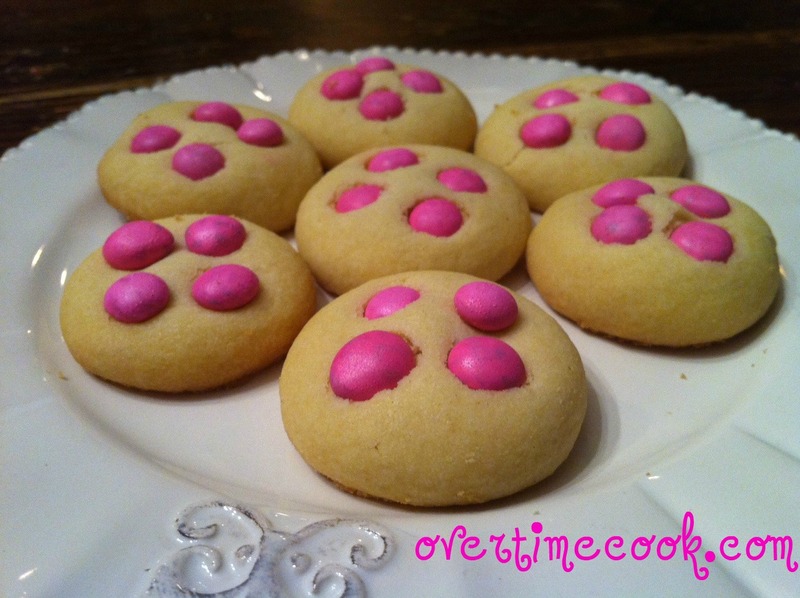 To get the silver sprinkles on top of the pink actually took some experimenting. I tried the squeeze bottle, but it was too thick. I wound up using a paint brush to apply a thin layer of pink, like glue, then I dipped it in silver sparkly sugar. Careful when doing this, because the very thin layer means it dries exceptionally quickly. This is more of a generic cake pop tip, but make sure you cover the pop all the way. Rather let the melted candy drip a little down the stick than leave exposed cake around the stick. The exposed cake gets too soft and makes the stick fall out. The verdict: hard to say which the kids liked more, but there’s something about the joyous exclamation of “A cookie on a stick!” that makes all the work worth it! Honestly, I made these simply because they were so easy and the colors matched my scheme so perfectly. I found the tutorial here, and honestly, I have nothing to add to it- it’s all so clear and oh-my-gosh-gorgeous. The verdict: How is this even a question? 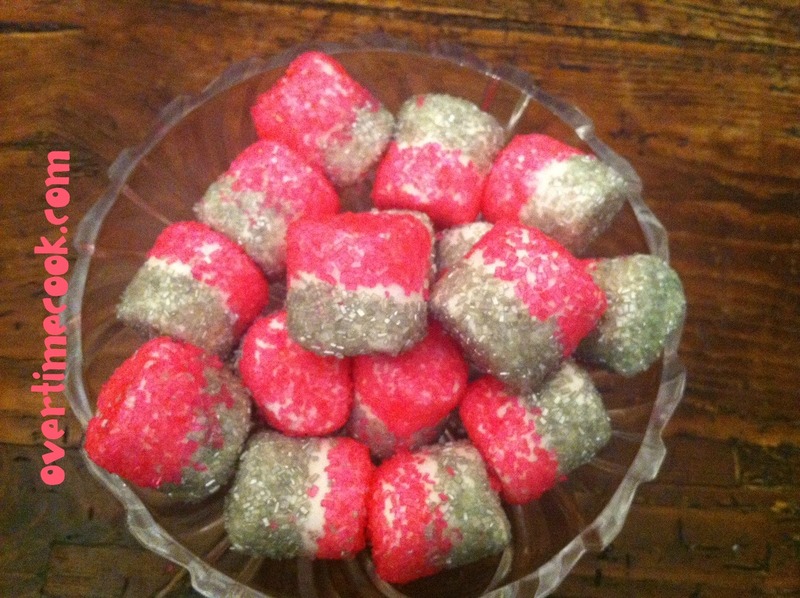 Candy coated in sugar…two guesses if the kids loved them! Do these look familiar? They should. The verdict: The kids loved these (what a shock, right?). The funny thing, though, is that my family (who had tasted these before) were all annoyed that most of them were eaten by the kids! I’ve posted this recipe before, but those were big. I decided to make them in mini, because somehow a large muffin seems daunting and indelicate for a person standing at a dessert table. 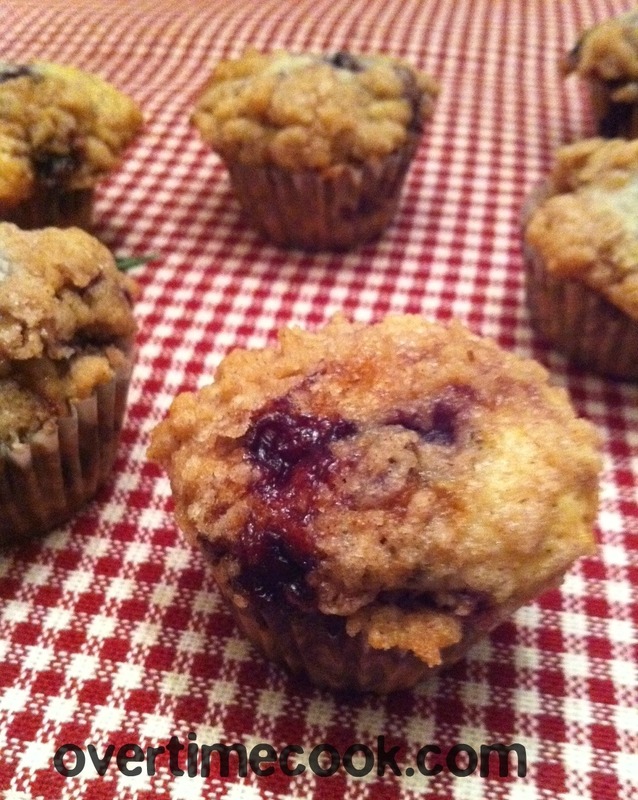 The only difference here was to bake them in mini muffin pans and for 10-12 minutes, instead of the longer baking time. The verdict: I didn’t notice the kids eating these (not enough sugar coating, I guess), but the mothers were absolutely crazy over them. And my family fought over who got to take home the leftovers- although there were almost none! I’ll be posting the recipe to this eventually, but in the meantime, you can do this with your favorite cupcake recipes: bake it in a mini bundt pan, glaze it with a matching glaze, and put some decoration (in this case, pink sugar pearls) in the center. It’s a great way to dress up the simple cupcake. 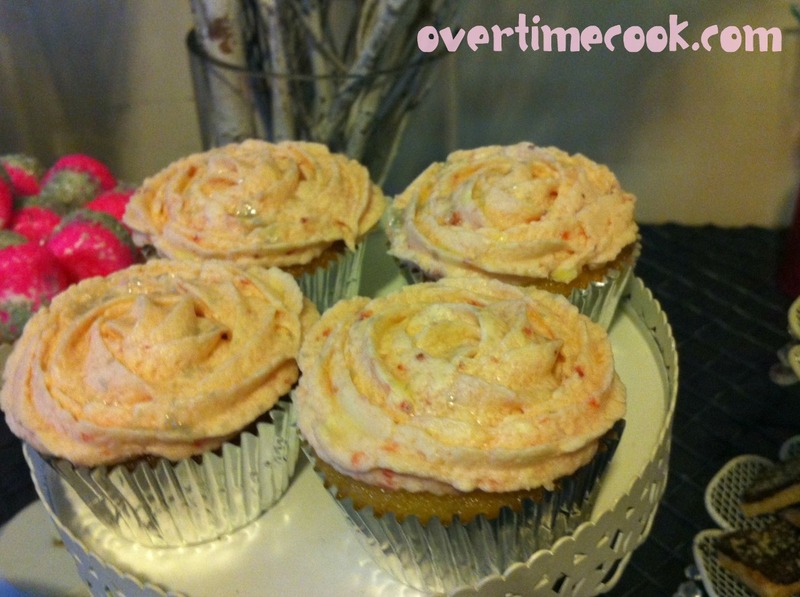 I’m slightly hesitant to post these, because I’m still very new to cupcakes (as you can see from the picture! 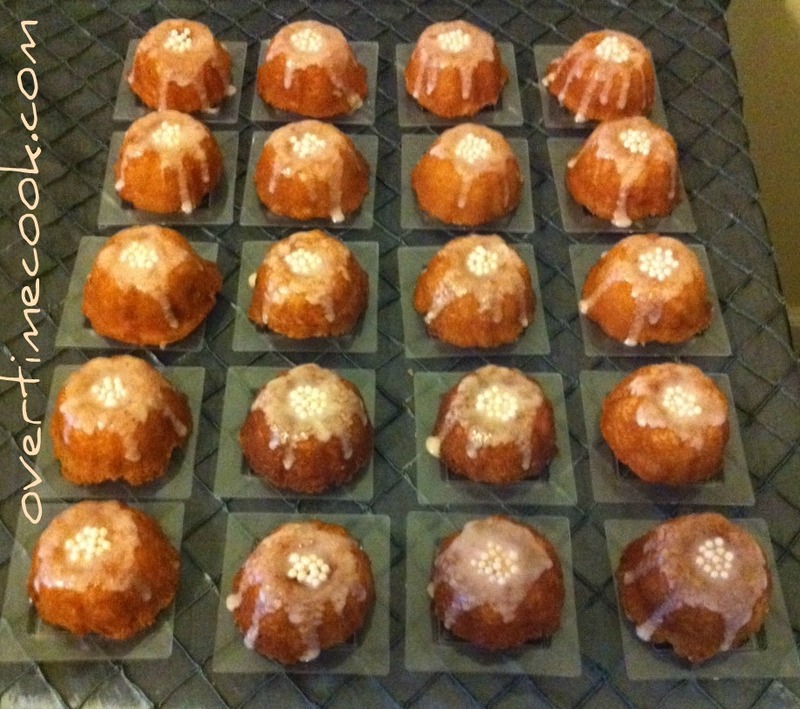 ), but here’s what I did: I used my go to vanilla cake recipe, and baked it in silver foil cupcake liners. (Super cheap but hey, it matched my theme so good for me, right?) I used the Strawberry frosting recipe from Sprinkles, (increased the powdered sugar a but to make the frosting thicker) and piped them using a 1M frosting tip. I also used silver shimmer dust from Wilton, which set me back about a million dollars, but definitely made them look shiny and oh-so-pretty. That’s about it folks. I made some simple cookies too, and lots of neighbors sent over treats…and unsurprisingly, nobody was left to starve. If you have any specific questions about the treats I made here, please ask me in the comments and I will post the answers. Goodness! You certainly baked a lot of lovely looking treats for this special gathering! Your blog title is so fitting of your days as someone who works full-time and then goes home and bakes full-time…I don’t know how you manage to do it all but I’m glad that you do and even happier that you take the time to share it all with us. These treats look delicious! I especially love the oreo cake pops. I’ve only seen the traditional balled up ones. The Oreo look less daunting. I’m sure the party was great! Nice job. Your brother and sister-in-law must have drooled their thanks. I hope your niece reads the blog one day to see everything you did in her honor!! As your mother I can only say that while your photagraphy is great, in real life this stuff was beyond awsome. I am really proud of you. You are very talented, and a good writer. Thanks for all of your help. If I didn’t know you I’d think you had too much time on your hands. How the heck…?! The only thing I dislike is that when you fully coat the oreo things, inexperienced people will have no idea what’s inside. I like being able to CHOOSE my candy. Cake pops are predictable enough but oreo truffle pops are a tad bit too unique for me. Wow…what an awesome array of goodies! Your cake pops (and all the goodies) turned out beautifully, but I’m completely enamored with those strawberry bundts with strawberry cream glaze. Bookmarking this post! Thank you for your well wishes! Wow, fabulous! 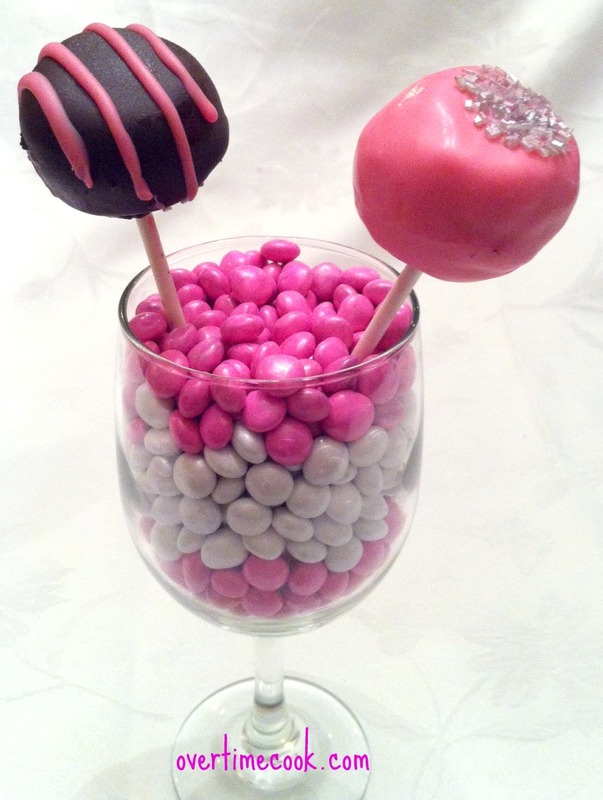 I especially love the cake pops nestled in the m&ms–nice presentation. 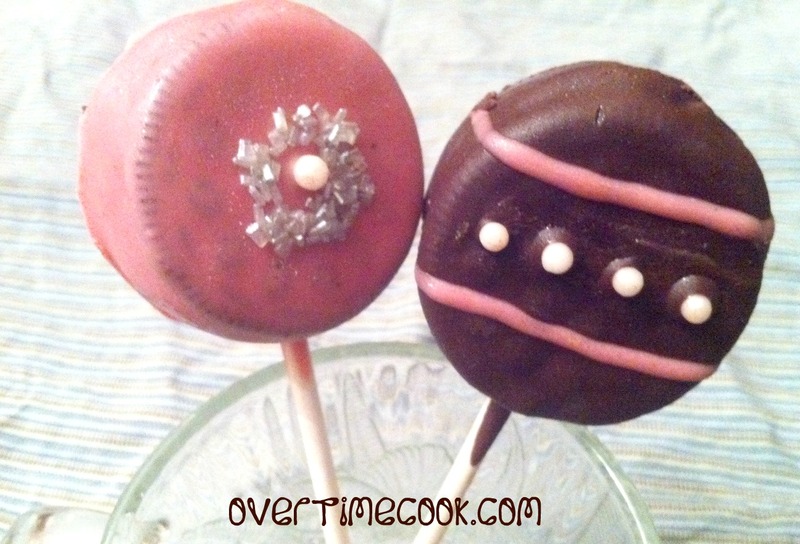 The oreo truffles are a cute spin on the cake pop. Are the recipes for these posted anywhere? Some are linked to their recipes. Which recipes are you looking for specifically? Love this blog! Your stuff looks sooooo good!